InstrumentationTools.com is a popular technology blog covering various topics of Field & Control Instrumentation engineering, including instrumentation basics, formulas, animations, Free online instrumentation Tools, Excel tools, Questions & Answers, Online Tests, Sensors & Transmitters, Different Measurement technologies, control valves, control systems, DCS, PLC, ESD, F&G, VMS, CCC and lot more other topics from different areas of instrumentation engineering. We invite you to write a guest articles on InstrumentationTools.com With these articles you can share your knowledge, experience and showcase your writing skills and finally its a great contribution to a dedicated community of Instrumentation experts, professionals and even fresh graduates who read our blog. Our monthly traffic reaches around 1 million pageviews. 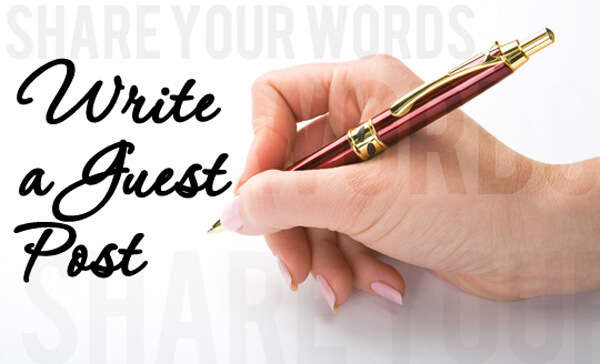 Why Writing a Guest Article ? Share yours & Learn from others – Sharing knowledge helps fill gaps in your knowledge. True Credentials – Your article will be published with author name & info provided by you. Credentials will be displayed on the bottom of the article. Targeted Publicity – You will get exposure to a targeted dedicated group of InstrumentationTools.com readers which comprises of Instrumentation experts, professionals, fresh graduate and other non geeky readers. Featured on Homepage – The best guest articles will be featured on the front page for week, so it gets noticed by the daily direct readers. Confirmed 12,000 RSS readers – Your article will reach around 12000 RSS feed readers through email feed, so you get instant readership when your article goes live. Free Social Media Promotion – All our guest articles are also posted to our Facebook, Twitter pages of the site which will provide the social media attention also. Original unique content – The guest article you are writing should be a simple & quality article with relevant images. Exclusivity – The same guest article cannot be modified and published elsewhere. External links in the article are not allowed.